Offering you a complete choice of products which include concrete pump pipe bends, concrete pump bends and concrete pump short bends. Being a leader in the market, we are engaged in providing our clients with a qualitative range of Concrete Pump Pipe Bends. Provided pipe bends are available in different sizes length as per the demands of our clients, these pipe bends are high in quality. 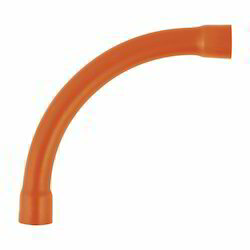 Offered pipe bends are manufactured using optimum grade basic material and latest technology. Owing to their easy installation and smooth finish, the offered pipe bends are widely demanded among our clients. 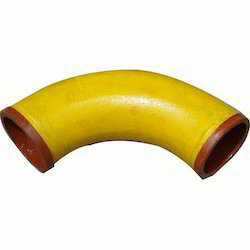 Further, our clients can avail these pipe bends at most competitive prices. Being one of the renowned organizations in the market, we are highly engaged in offering a unique range of Concrete Pump Bends. Offered bends are well manufactured under the guidance of our adept professionals using the quality grade basic material and high-end technology. Provided bends are available in different shapes and sizes as per the demands of our valuable clients. In order to avoid any flaws, these bends are stringently tested by our quality controllers against various quality parameters. To cater to the variegated demands of our prestigious clients, we are highly engrossed in providing a wide range of Concrete Pump Short Bends. Our offered bends are manufactured using the best grade raw material and modern technology. The provided bends are highly appreciated by our clients for their optimum strength and abrasion proof finish. 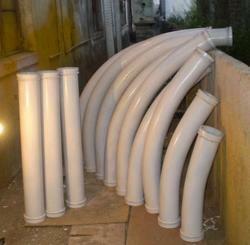 These bends can be availed in different sizes as per the requirements of our clients. Furthermore, to avoid any flaws, the offered bends are tested by our quality experts against various quality parameters.